The Dominican Republic has many miniral resources and the most famous are limestone, travetin and marble. 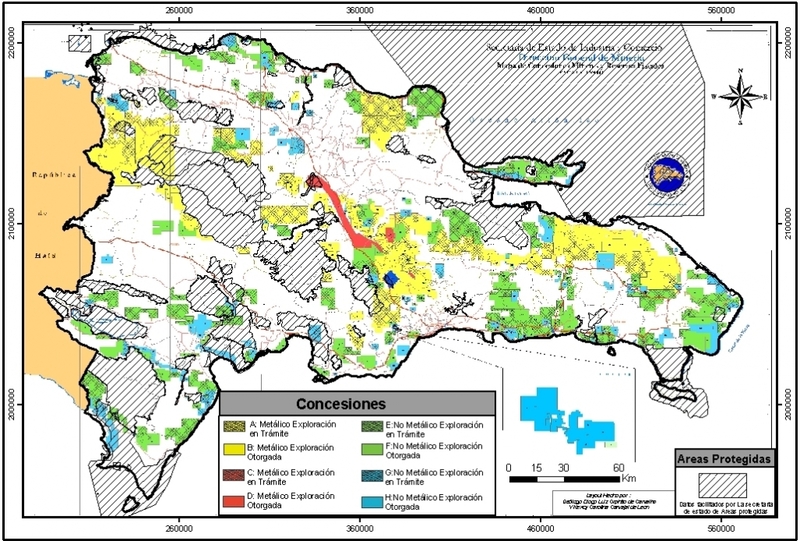 The Mining Department from the Dominican Republic prepared information and a resource map from minerals the Dominican Republic. Mining activities are grouped into two areas: Metal mining and nonmetallic mining. Metal mining and mines: like gold and bauxiet.The metal mining industry in the country has shown tremendous growth in recent years. The Dominican Republic there is enough potential and non-metallic mineral reserves and in industrial, such as salt, gypsum, marble and limestone of different varieties, sand for glass, feldspar, kaolin, clay and other ornamental stones industry. Salt and plaster mining and mines: The salt and gypsum mines are in Barahona in the southern portion of Valley Neyba.The hill Salt and Gypsum has an area of approximately 21km2 and is formed by powerful layers of salt and gypsum interbedded with soft clay shale packages. Marble and travetine mines Dominican Republic, Samana: The reserves of marble in the Dominican Republic have been estimated conservatively by o national experts in more than 30 million cubic meters. The main marble deposits in the country are located in the province of Samana, which has estimated reserves and recognized varieties of marble, like marble portoro, gap golden and red marble gap gray. The country also has reserves of travertine in the area of Canoa, Vicente Noble. Limestone: There are many smaller and larger limes tone mines in the Dominican Republic. Mines who are already in place and producing and land for sale where limestone is available. Sand and gravel: There are many options in sand and gravel mines/mining/exploitation/claims in Samana. We have several working mines for sale. Clinker mines for cement. We have several options in mines for sale in the Dominican Republic. Contact us for more information.